Winter visitor. It is very similar to the White-crested Tyrannulet Serpophaga subcristataa, an all year round bird. A slight difference in size -the white-crested is one cm longer on average- and the crown of the Straneck's Tyrannulet has not or has less white than that of the White-crested Tyrannulet. These differences are difficult enough to evaluate with a naked eye, which demands identification through song. This is one of the winter visitors that has already arrived. Though it is not seen on the video, it can be perfectly heard. This tyrannulet is very much like the White-crested Tyrannulet Serpophaga subcristata which is a resident bird. 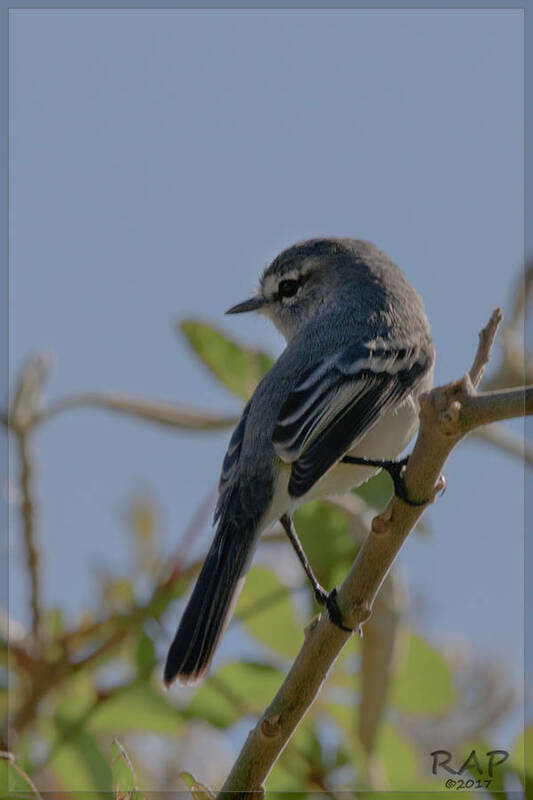 A slight difference in size -the white-crested is one cm longer on average- and the crown of the Straneck's Tyrannulet has not or has less white than that of the White-crested Tyrannulet. Two clues to tell them apart: season (Straneck's in winter and White-crested all year round) and their vocalizations which are quite different. So the worst situation is the bird in winter and in silence. Though Alberto Gurni gives us his own trick - behaviour. According to Alberto the White-crested Tyrannulet is much more restless than the Straneck's. Two among all the tyrannulets are very much alike - Serpophaga subcristata and Serpophaga munda. They dominated the scene when Berlioz described a third species resembling the previous ones: Serpophaga griseiceps in 1959. More than twenty years later new investigations determined that this tyrannulet Serpophaga griseiceps was the juvenile form of Serpophaga munda and again the number was reduced to the two initial tyrannulets. In 1993 Straneck unifes Serpophaga subcristata and Serpophaga munda since they had the same vocalization. So the result was Serpophaga subcristata subcristata and Serpophaga subcristata munda as a subspecies. But he describes a new species which does have a different song. 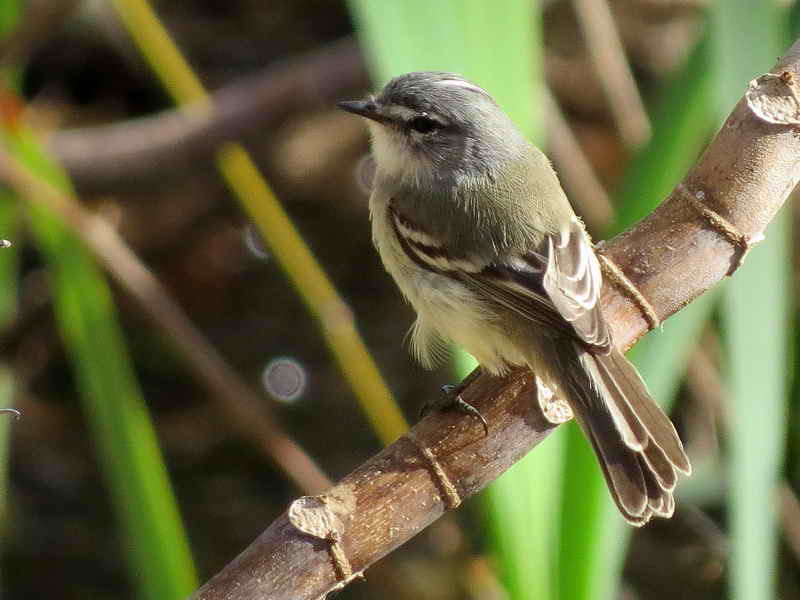 The characteristics os this new tyrannulet coincided with the Berlioz's description of Serpophaga griseiceps. So Straneck recovers the name Serpophaga griseiceps. In 2004 the fusion of both Serpophaga griseiceps and Serpophaga munda was convalidated only on the grounds of the skins. 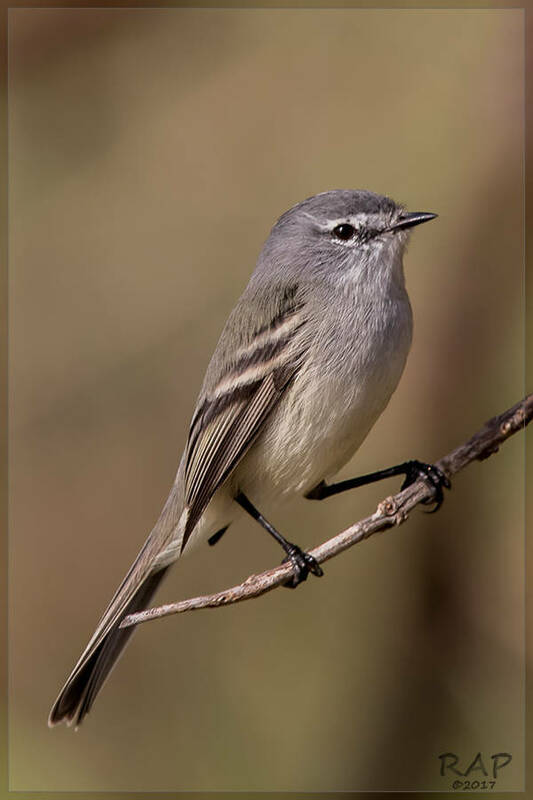 In 2007 Straneck explains the flaws of this work and at the same time formally describes this tyrannulet as Serpophaga griseicapilla since it differs both in vocalization, size and crown. 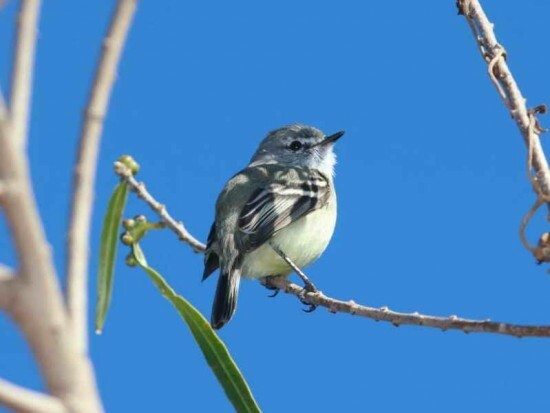 In Spanish it is called piojito trinador and in English is known as Straneck’s Tyrannulet. This is unusual since names are not give after living ornithologists.